HomeCan we still believe in demons? Can we still believe in demons? I have heard some people say that since we live in a world on the other side of the Enlightenment, in a world where science has found natural explanations for so many things, we can no longer believe in certain elements of the supernatural, e.g., demons. I do not think this is necessarily so and that such a view misunderstands the entire discussion. If belief in demons were mere superstition, by which I mean a belief that exists for merely aitiological reasons to fill gaps in our knowledge, then yes, we have explained away many things about demons. For the weather does not come from demons, it comes from pressure systems and out of whims directed against umbrella-carriers. Mental illness is caused by all sorts of factors, both physiological and environmental. I am the one who sins, not some spiritual being inhabiting my body. However, such findings do not negate the possibility of there being malevolent beings of a spiritual nature who are seeking our destruction and ruin, seeking to lure us into sin and harm. We may scoff at the plani of Cassian who wait at crossroads to mislead travellers and their companions who actually attempt murder (Conf. 7.32). However, Screwtape, on the other hand, is nothing to scoff at. What we need to realise is where the boundaries of scientific enquiry stop. Science, modern empirical investigation into the nature and order of the cosmos, cannot actually see and observe everything. It deals, essentially, with only the physical. It deals with energy, matter, time, and so forth. Science has no means of measuring the spiritual. The spiritual is on a plane of being different from ours. When we look at another human being, we see but the outer appearance; the spiritual is invisible. No scientific instrument can actually observe the human spirit. They have seen things going on in brains that point to spiritual experiences, but these are not hard evidence for spirit; they could easily be interpreted by atheists as proof that the spiritual does not exist but is merely certain actions occurring within the human brain. If we as Christians believe that all human beings are persons with spirits, and if science cannot even see a spirit where we know one exists, why should we decide that since science has no evidence for the demonic, and certain alternative explanations for traditional demonic spheres of activity, that the demonic is no longer at work? That the demonic was never at work? I believe that a demon can produce a physical disease, for example. Simply because it has its origins in the demonic does not mean that it will not have the same physical symptoms as another manifestation of the same disease caused by purely physical means. A demon could cause mental illness as well, perhaps by stirring up the juices of some poor soul’s brain. Drugs could heal the physical or mental illness at hand, but that is merely treating the disease as it stands, regardless of its origins. This is to say: The physical and spiritual can act in concert. Science and medicine will only show us the physical. The Lord will sometimes give a person an insight into such a situation. For example, I know of a doctor in the Democratic Republic of the Congo who treated a young man for tetanus. Within the year, the young man was again demonstrating all the symptoms of tetanus. This should not be; a tetanus shot, as we all know very well, lasts for 10 years. Through discernment, he came to the decision that this illness was one with a strong spiritual element. The tetanus was healed in this case through prayer, not drugs, since the drugs had failed. What that story shows us is that we should not neglect the physical, but should at all times be attuned to the spiritual and pray to God to heal people with diseases. We will almost never know whether a disease has its origins in nature or supernature. Nevertheless, we can pray that God, who knows all things, heal through the wisdom of doctors and his own touch as the Great Physician. What we should never do is assume that people with mental illness have demons. Or that everything that goes wrong is the result of a demonic attack. We can rarely see into the spiritual. It is beyond our place as mere mortals to assume that someone else has a demon every time something goes wrong. This sort of behaviour can result in abuse. 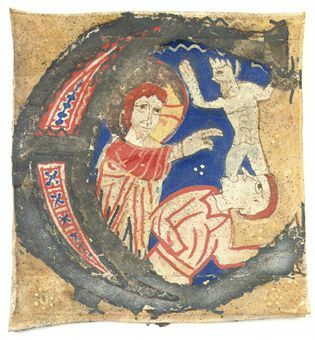 However, the most important role of demons in Christian demonology proper, as seen in the Desert Fathers, Cassian, Evagrius, Augustine, the mediaeval writers, is not to possess people in dramatic ways, not to cause illness, not to confuse people, not to waylay travellers. Rather, the demon’s role is that of Screwtape, of C.S. Lewis’ masterwork The Screwtape Letters. Demons are tempters. They entice us to sin. Now, our own flesh and the world can do the same. Nevertheless, by Cassian’s reckoning, demons will observe us and see where we are weak and make tiny, little suggestions to us. They will try to draw us into sin, to draw us away from virtue, to draw us away from seeking God and His ways. This is a role that a person of a modern mindset can easily acknowledge. It does not touch upon any of the core doctrines of science. All it says is that sometimes, when we are tempted, it’s because someone else is tempting us, someone unseen, someone unmeasurable in any physical sense. Finally, we should not avoid belief in demons, for Christ casts them out, St. Paul assumes them among the “principalities and powers”, and they are a part of the tradition throughout the ages. I hope that the above has demonstrated the reasonableness of belief in the demonic. All that remains of the stool is experience. Some of us have had the unfortunate experience of direct, knowing encounters with the demonic. The strongest testimonies are Scripture and Tradition, both of which are interpreted and bolstered in this case by Reason and Experience. Therefore, let us take up the fight and proclaim the power of Christ over our own lives, receiving His grace and His love to enable us to endure forever and stand firm in the fight.